This post comes to you from damply beautiful Seattle, Washington! Yes, kids, I am in Seattle for BlogHer Food 2012 and not just as an attendee, but I am speaking! I am nervous, but terribly excited, and ready to get the party started! The last month has been a CRAZY travel month for me. First, I went to Camp Blogaway, then I spent 6 days in Tokyo (expect a few Japanese themed recipes in the future – the place is life changing! ), and now I am here in Seattle. My mother, who is amazing in just about every way, has been my faithful dog sitter during my travels. I am much more comfortable having her stay with my dogs rather than packing them off to some dog boarding place where they do not love or care about my dogs. My mom spoils them, so I decided to spoil her. I made her these little pies as part of a ‘thank you’ gift. I decided to make the filling for these little pies fairly rich. Considering that there is just 1/2 teaspoon of filling in each pie, and that the all butter crust is very flavorful, I went with a cream cheese based filling. 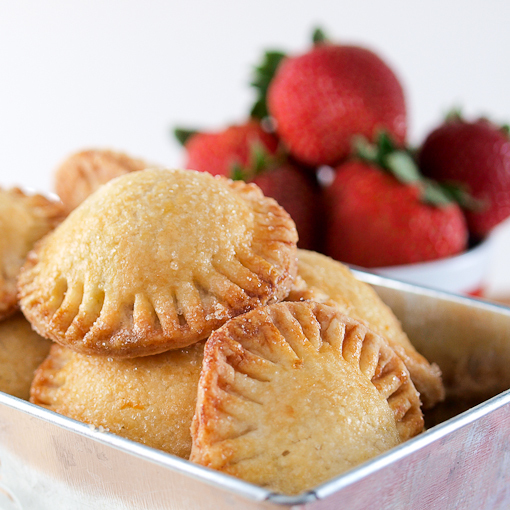 It adds richness and the tangy flavor works well with the sweet berries. Speaking of the crust, I decided to add a little freshness in the form of grated orange zest. Butter crusts can be a little heavy, which is fine in the cooler months where that deep richness is welcome, but in the spring and summer I want something bright and fresh. 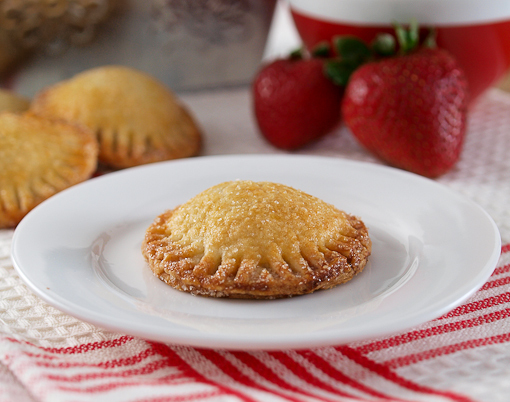 Orange zest serves to brighten the buttery crust, and the citrus adds a little zip to the berries. 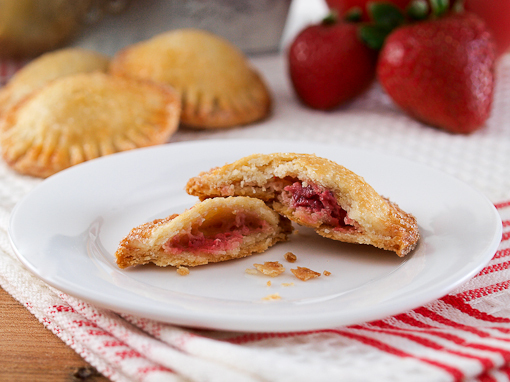 These could be made with any seasonal berries you like. Blueberries would be very nice here, as would blackberries. The only caution I make is this – be sure to use fresh berries. 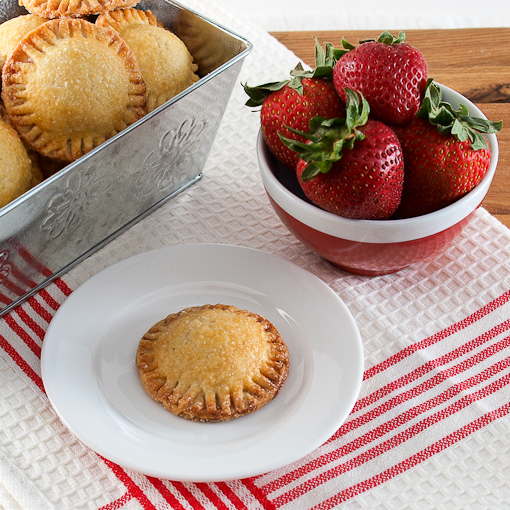 Frozen berries would be too mushy and wet for these little treats. 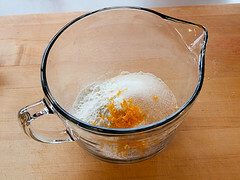 In a large bowl combine the flour, orange zest, sugar, and salt. 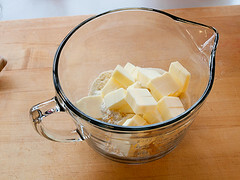 Whisk to combine, then add the cubed butter. Using your fingers rub the butter into the flour until the mixture looks like coarse sand studded with peanut sized pieces of butter. 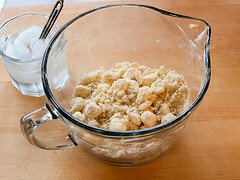 Add 3 tablespoons of ice water and gently mix the dough with your hand until it forms a shaggy ball. Add more water, a tablespoon at a time, until the dough comes together. Turn the dough out onto a lightly floured surface and knead the dough lightly, about 5 times) then form the dough into a disk and divide into two pieces. Wrap the dough in plastic and chill for at least 30 minutes, or up to three days. 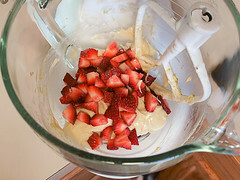 In the work bowl of a stand mixer with the paddle attachment, or in a medium bowl with a hand mixer, combine the cream cheese, sugar, cornstarch, and vanilla and beat until smooth. Add the diced berries and mix until some of the berries are gently mashed but the mixture is still chunky, about 20 seconds. Transfer the mixture to a bowl and chill for 15 minutes. Once chilled pull one half of the dough out of the refrigerator and let stand for 5 minutes to warm up. Roll out on a lightly floured surface to ⅛-inch thick, about a 12-inch circle, turning the dough often to make sure it does not stick. Dust the surface with additional flour if needed. 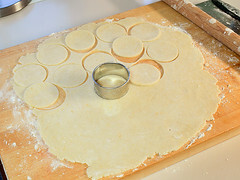 Use a 2-inch biscuit or cookie cutter to cut out circles of dough. Cut as many as you can, you should be able to get at least 20 from the first roll, and arrange then on a parchment lined baking sheet. 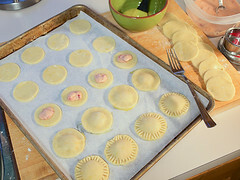 Gather up the scraps, press into a disk and chill for 20 minutes, then roll them out and cut out the remaining dough circles. Repeat this with the second dough ball. 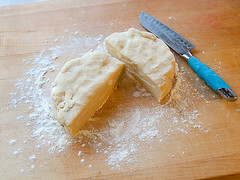 To assemble the pies begin by placing a heaping ½ teaspoon of the filling into the center of 30 of the dough circles. Gently brush the edges of the pastry with beaten egg, then top with a second dough circle, gently pressing around the edges to help the dough adhere. With a fork crimp the edges of the pies to seal. Brush the tops of the pies with beaten egg, then dust with the sanding sugar. Bake for 20 to 22 minutes, or until the pies are golden brown all over, and the bottoms of the pies are deeply golden. Cool to room temperature on the baking sheet before serving.